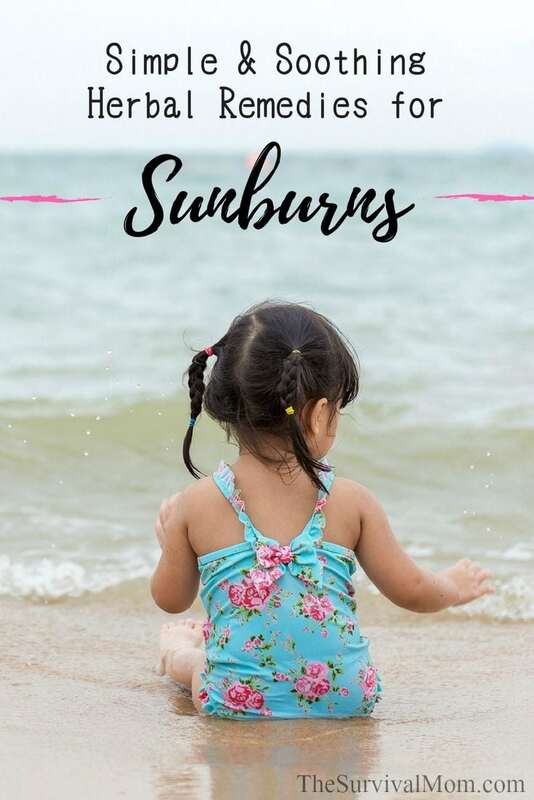 If you have very fair skin, it can happen year round, but for most people, sunburn is an annual summertime event, despite their best intentions to avoid it! Avoiding sunburn by using sunscreen, covering up with long sleeves and a hat, and staying out of the sun during the sunniest of the day is always the best policy. But sometimes sunburn happens anyway, whether we forgot the sunscreen or it wore off, or we didn’t think we’d be out long enough to get burned. It’s nice to know that there are soothing herbal sunburn remedies available to help our bodies recover. Keeping an aloe plant in a sunny windowsill, and adding dried rose, lavender, and marshmallow root to our herbal preps can make sure we have ways to help ourselves stay comfortable while our skin heals – naturally! Aloe vera is an herbal burn ally that really does a wonderful job keeping a burn moist and soothed while it has a chance to heal. In one study, burns applied with aloe healed in less than twelve days, vs burns in the control group that were covered in Vaseline and healed in around 18 days(1). To use aloe, cut a leaf from the plant and slice the leaf open from bottom to top. Scrape the gel from the inside of the leaf and apply it directly to the desired area. Bottles of aloe gel or juice can be purchased at the store and used much the same way. For some people, though, aloe is not a good choice for after-sun care. Aloe can cause allergies in some people, and should be avoided if known allergies to latex, or plants in the lily family (like garlic and onions) exist. Marshmallow root makes a nice spritz for after sun care and is a great alternative to aloe. Because the parts of the plant that are useful for burns lose their strength when exposed to heat, the best way to use this herb is by placing a handful of the dried root into a glass jar and covering it with room temperature water. Allow the herb to soak in the cool water for at least an hour, and preferably overnight. Strain out the root and pour the marshmallow-infused water into a spritz bottle. You might notice that the water appears to be slightly gelled- that’s normal! Marshmallow has moistening, gel-like properties that activate when exposed to water. Apply your marshmallow-water as needed. Because there are no preservatives, a new batch will need to be made each evening as long as it is needed. Rose petals have been used as a folk remedy for burns for centuries. One of the easiest ways to use this herb for sunburns is to make a vinegar extract. Soak a handful of petals in enough vinegar to cover until the petals have faded (usually around a week), and then strain out the petals. Store the vinegar in the refrigerator in a spray bottle until it is needed. For extra soothing power, stir in a tablespoon of honey, which is another traditional burn remedy and was even used during WWII to dress burns in war time hospitals. Lavender buds can be combined with rose petals as a vinegar, or used on their own. Some people prefer to use lavender essential oil, but be aware that lavender EO should never be applied directly to the skin. It should always be diluted first in a carrier oil, such as coconut oil. If applied neat, that is, without being diluted, it can worsen the burn. However, vinegar made from soaking lavender buds is safe to apply directly. Lavender tea can also be added to bath water so the sunburned person can have a soothing soak. Teas made from lavender buds (rose petals work, too!) 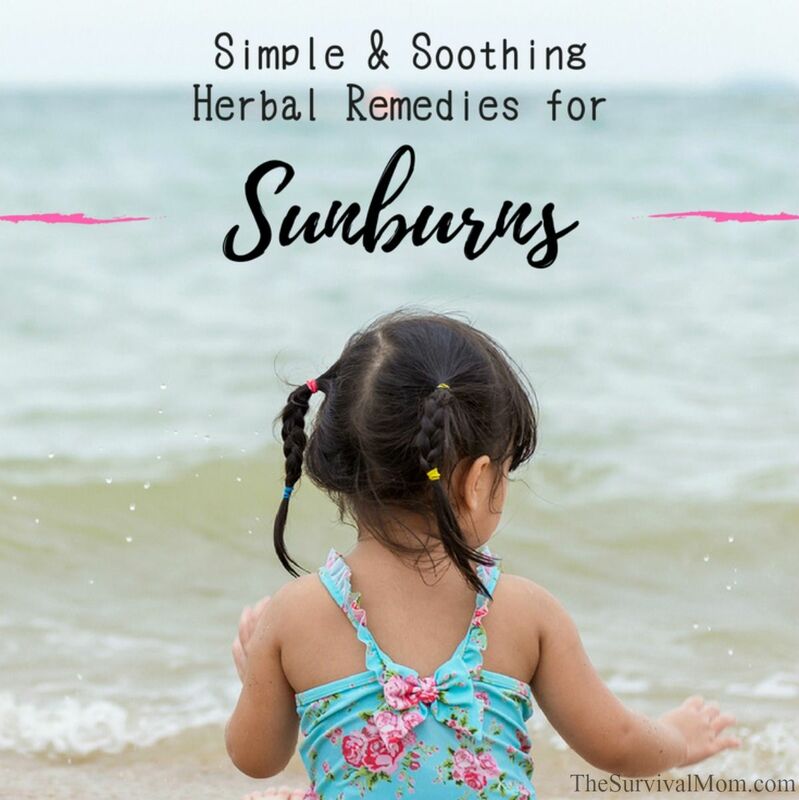 can even be frozen as ice cubes and bundled together with a paper towel or cheesecloth to provide cooling relief in the aftermath of a sunburn. Regardless of what after-sun care routine you chose, remember to keep the basics of sunburn first aid in mind. Making sure to stay hydrated, taking a cool shower and applying an oil free moisturizer can help dissipate the heat from the burn and keep the skin moist and flexible while it heals. One cup of plain instant tea in a cool bath will help heal a sunburn very quickly. Stay in the bath for 15-20 minutes. Just remember, tea stains, so try not to get on anything you want kept nice. I read this tip somewhere last year and it really worked for me: swab the area with cider vinegar (unbroken skin only! ), let it dry, and then apply coconut oil. The vinegar feels really cooling – apparently the acetic acid counters pain and inflammation – and the coconut oil moisturises, soothes and heals the skin.